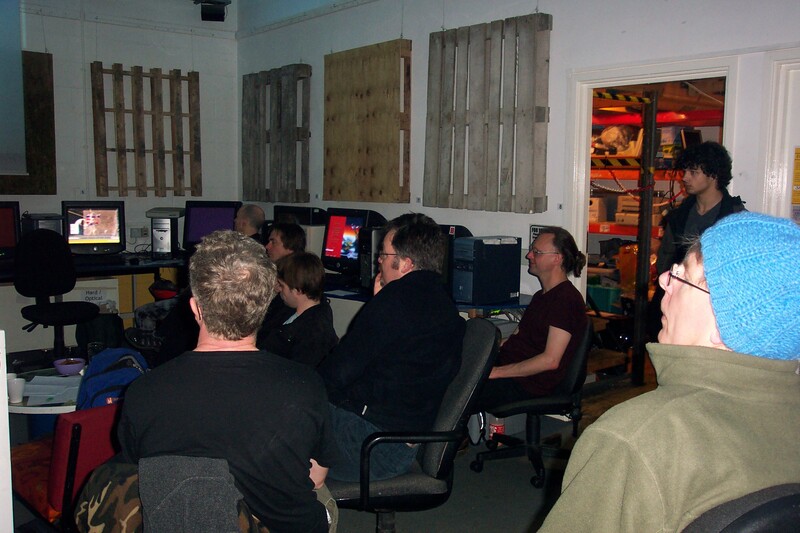 Here is the audience at Xname’s and my Show and Tell on 25th March at Access Space, Sheffield, UK. Xname aka Eleonora Oreggia is the current artist-in-residence and we will be sharing space over the next few weeks in an already crowded Access Space. I talked a bit about how this project had come about and the potential outcomes and Eleonora talked about the workshops she will be running later this week and the “insertion” of noise objects into the landscape. This entry was posted in Uncategorized and tagged 2011, Access Space, Bursary, CHDK, Flying Monkey TV, Missing Link, PICAXE, R&D, Research and Development, Richard Bolam, Sheffield, Timelapse, UK. Bookmark the permalink.